This time of year when the roads are busy and the beaches packed, the summer can feel anything but relaxing. It’s Sunday today and we’re taking it easy, so what could be better than a stroll to a local cove that’s a bit off the beaten track for a spot of quiet rockpooling. Starfish, sea slugs, fish and stalked jellyfish await me. 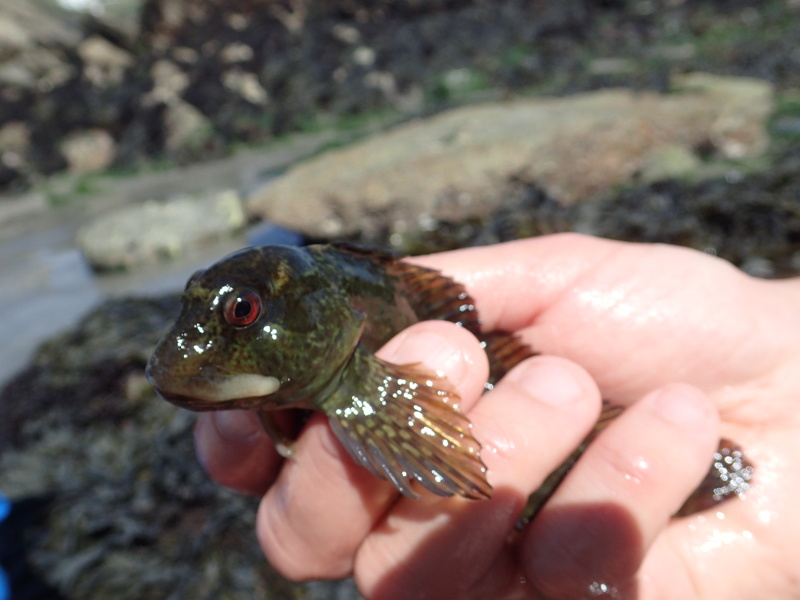 It’s always a good idea to move slowly in the rockpools and today I have nothing to rush for. 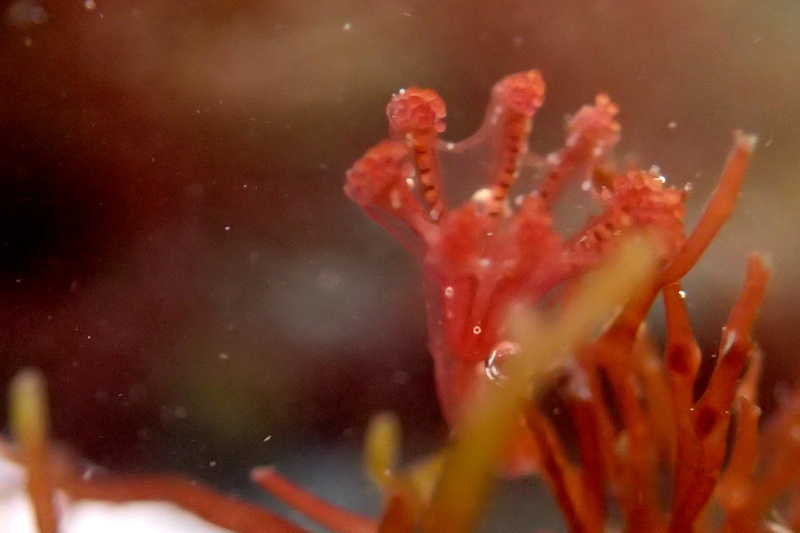 By staring at the seaweed for a very long time, I begin to notice more details and my eye is drawn to a stalked jellyfish. 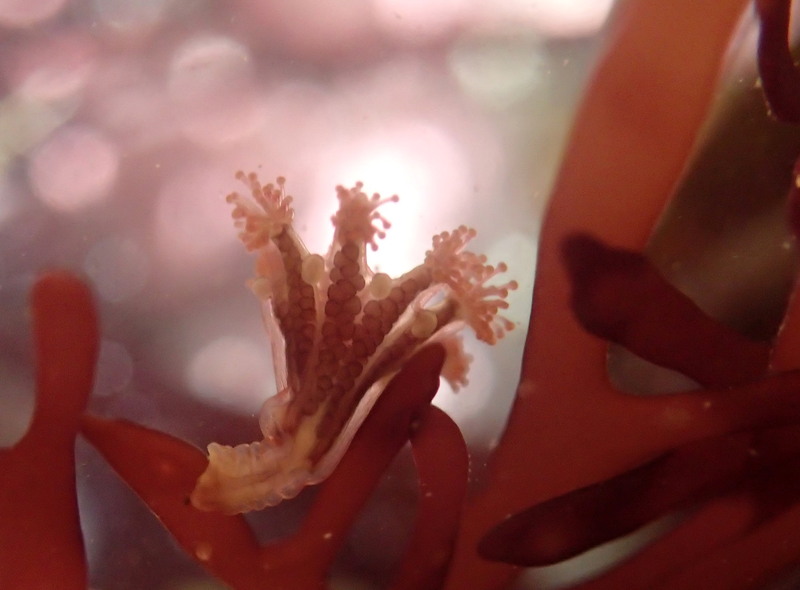 The blobs between the arms are primary tentacles, suckers that the jelly can use to move around. A little further on I find another species. 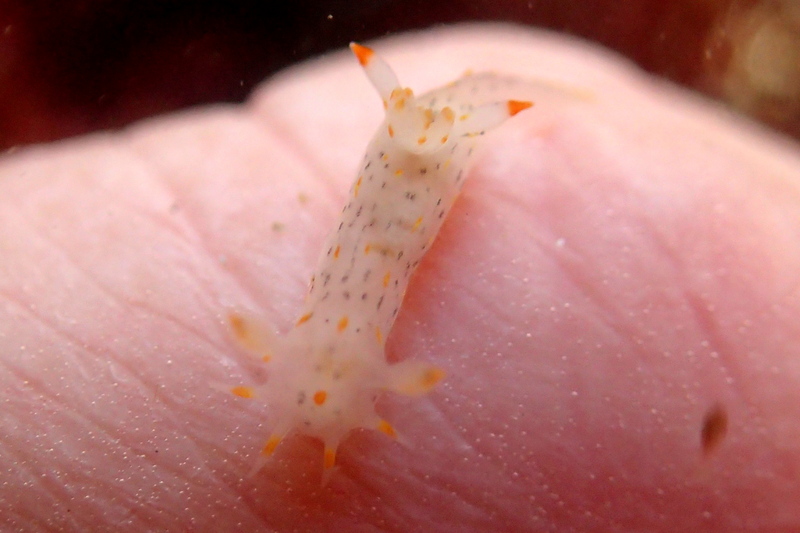 This one doesn’t have the blobs between the arms and is flecked with pale spots, which contain stinging cells. 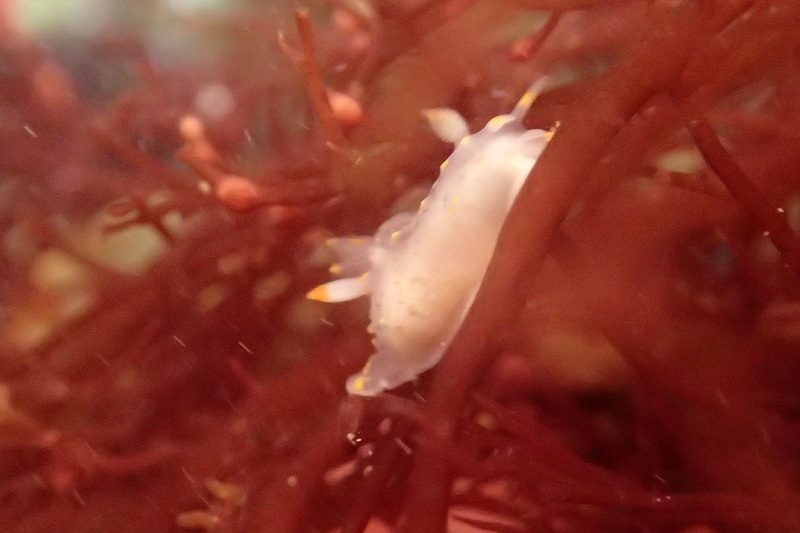 As I look for more jellies, a white blob just a few millimetres long catches my eye. 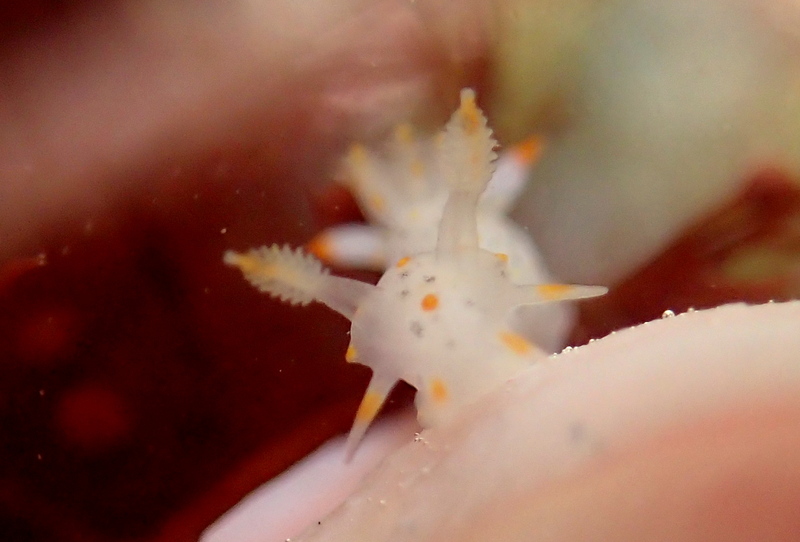 It’s a tiny sea slug, a baby Polycera quadrilineata. It has a wonderfully feathered pair of rhinophores on top of its head and various yellow appendages around its mouth and bushy gills. These slugs usually have yellow lines on their back, but this one is more blotchy with black lines and patches among the yellow, a common variation. As I take photos it crawls onto my hand. 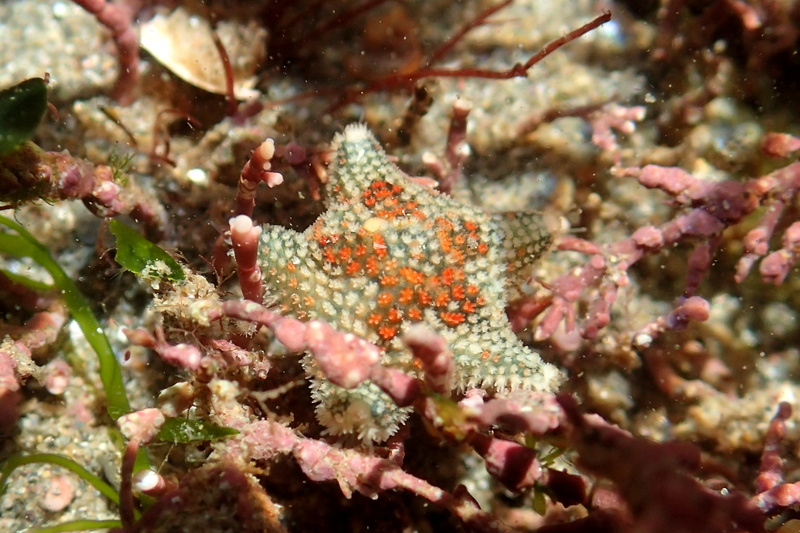 Among the coral weed in the next pool I find an Asterina phylactica cushion starfish. It’s big enough to be brightly patterned and poses nicely for me. As the tide pushes in I wander back up the shore to re-join the boys. They’re looking under a rock and find a large shanny. It lounges in my hand, calmly taking us in. Cornish Rock Pools junior releases it back into the cool water. Our Sunday rockpooling amble complete, we drift home in the sunshine to laze some more. Not all Cornish beaches are busy in August! If I’m honest that’s my kind of Cornwall, the quieter version. So when I venture down there I often go “out of the main holiday season”. I like to do sound recordings too so we know it makes sense. 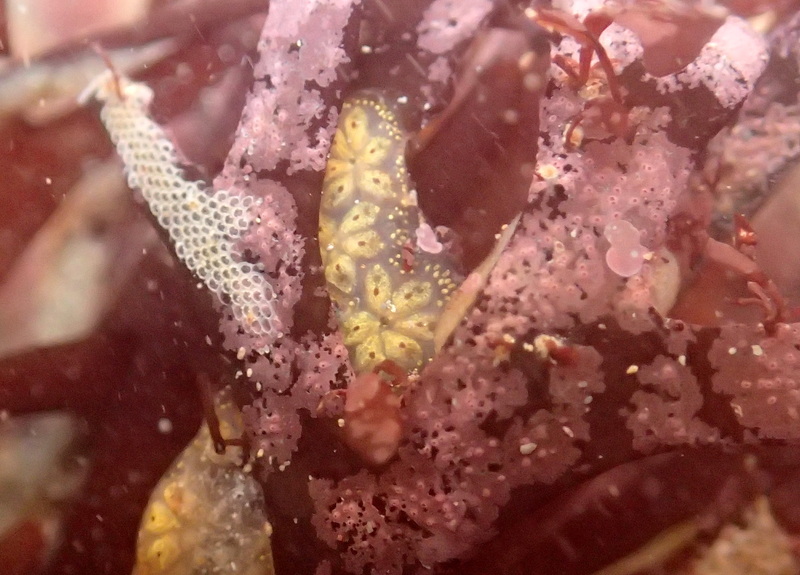 They are certainly wonderfully coloured creatures which lurk under those Cornish waters too. Thanks, Tony. I know what you mean. Much as I love running big events, it’s wonderful to visit a quiet cove with no-one else around and have time and space to explore quietly. You never know what you’re going to come across in the pools. 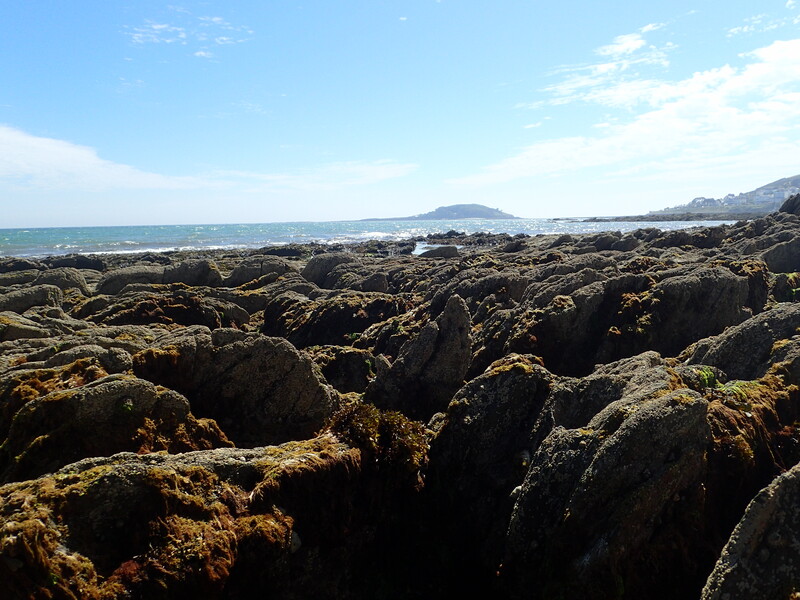 I think they should prescribe rockpooling for stress, there’s nothing more relaxing.